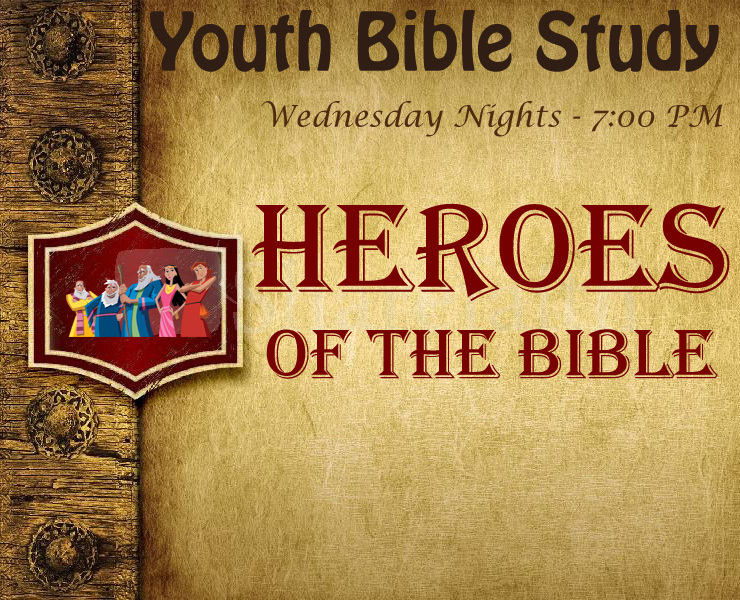 Join us on Wednesday Nights through January for a NEW Youth Bible Study – Heroes of the Bible. Each night will be filled with fun and interactive lessons about one of several Bible Heroes. The lessons will cover: Stephen, Samson, Gideon, Josiah, Deborah, Nehemiah, Miriam, and Solomon. The study will be available to youth of all ages.